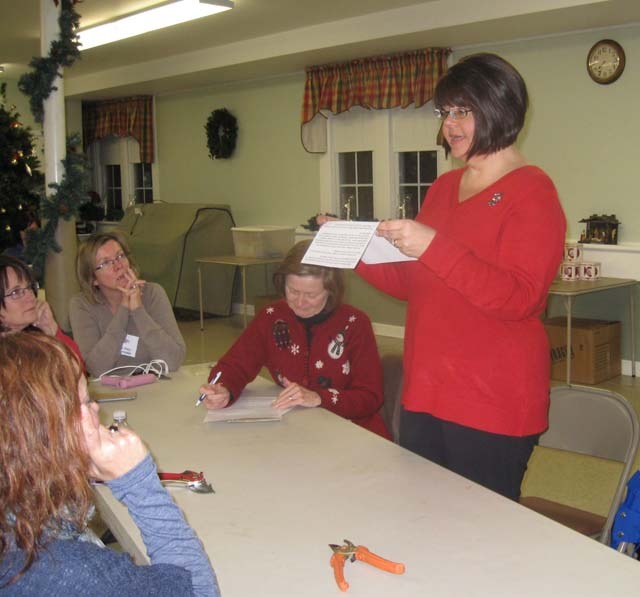 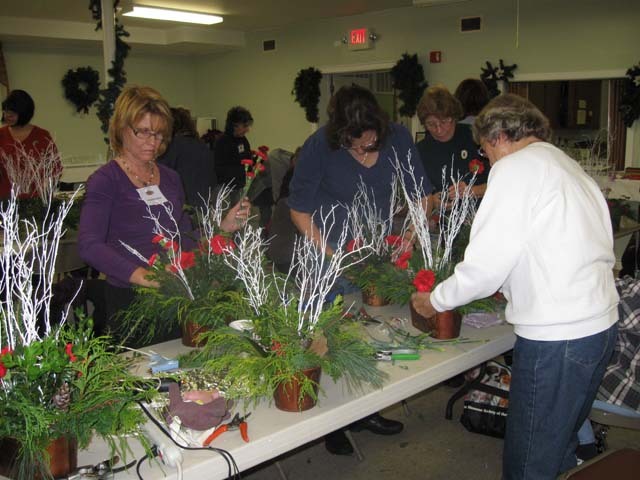 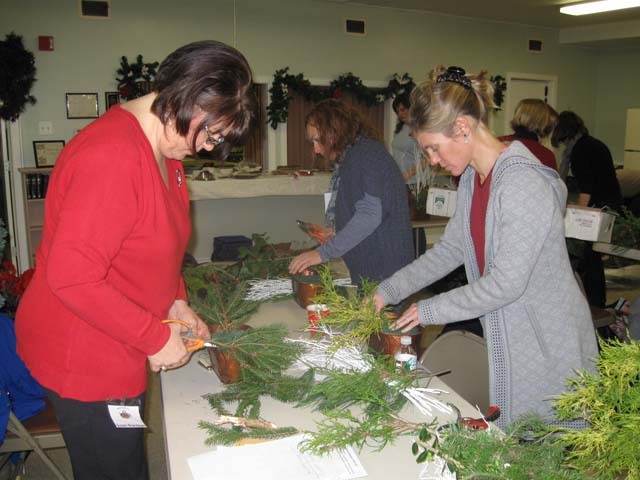 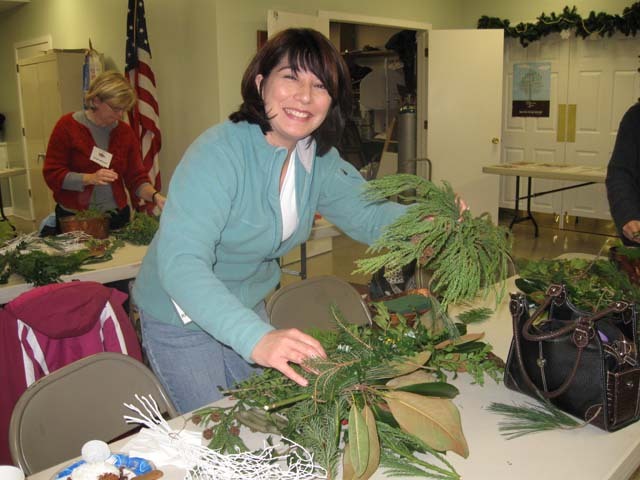 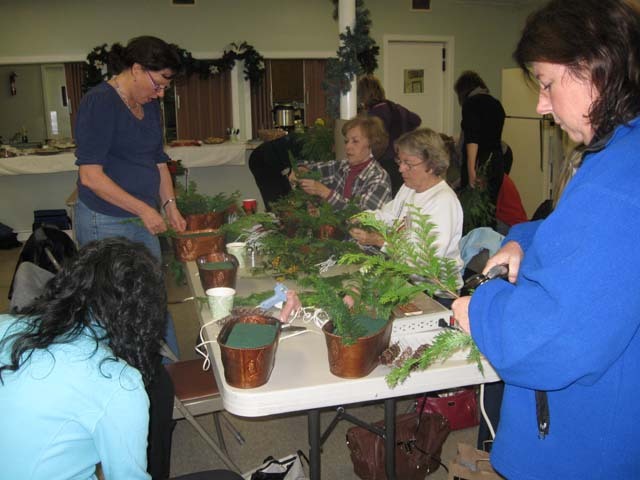 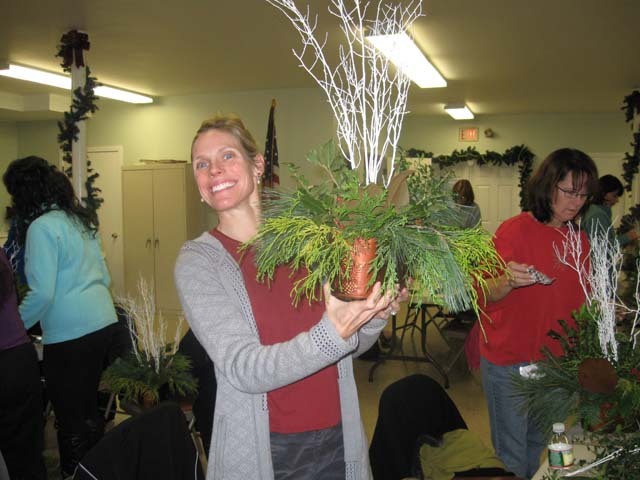 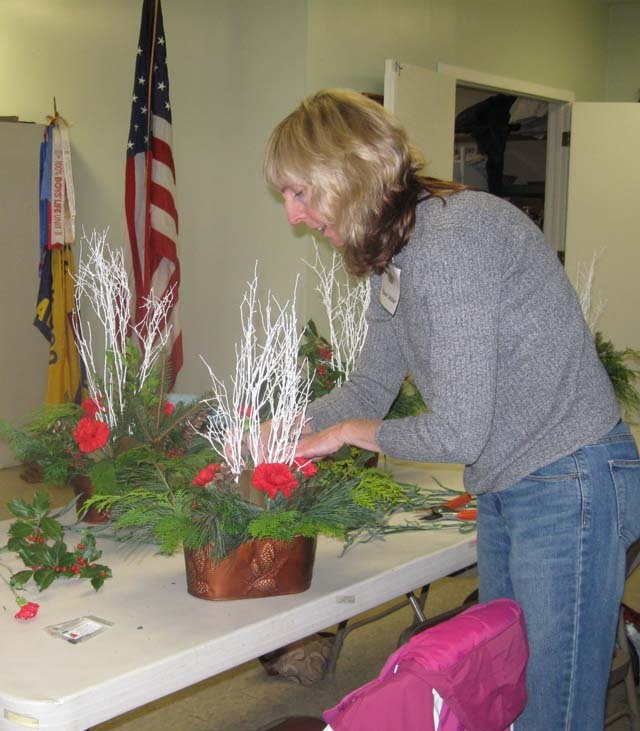 Once again we were excited to have Allison Mains, a floral designer and Allentown Garden Club member add to the pleasure and beauty of our holiday season. 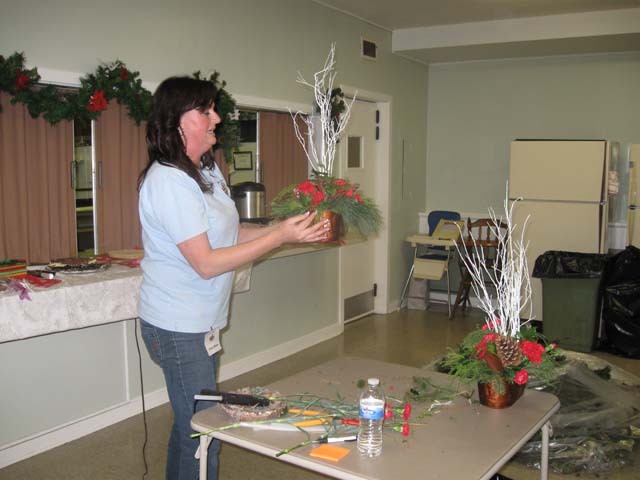 Allison had chosen a floral project, demonstrated the technique used in its creation and supplied the basic materials at cost for each individual. 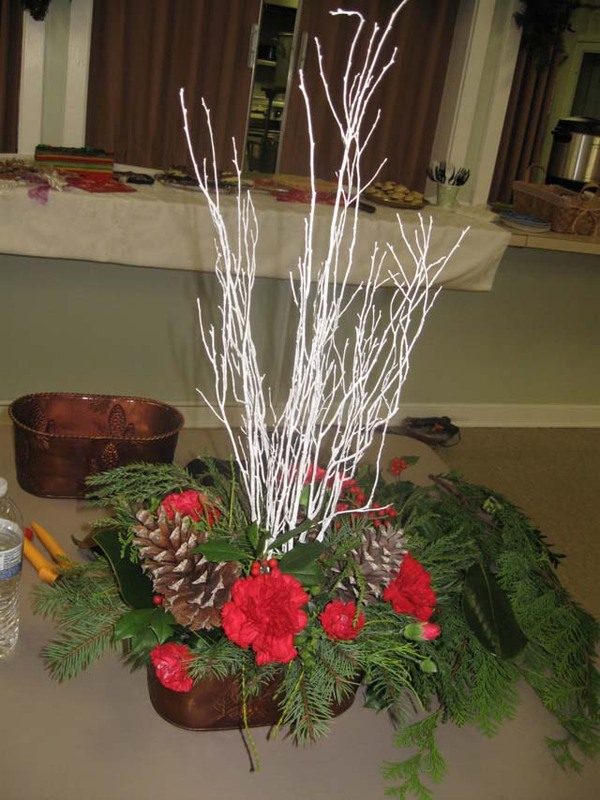 This year's Holiday Centerpiece, designed by member Allison Mains. 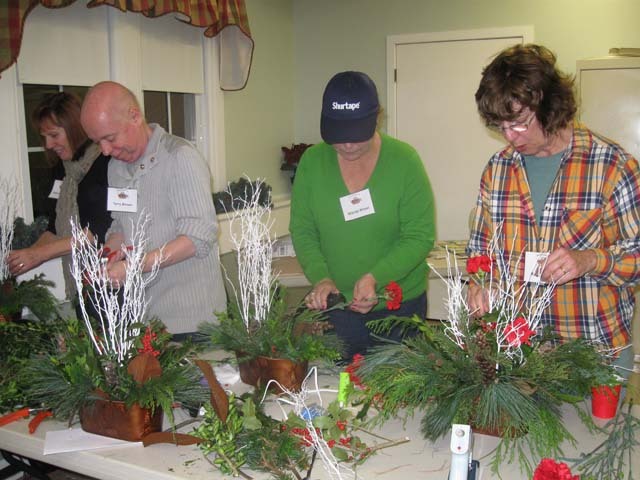 Members getting down to it.